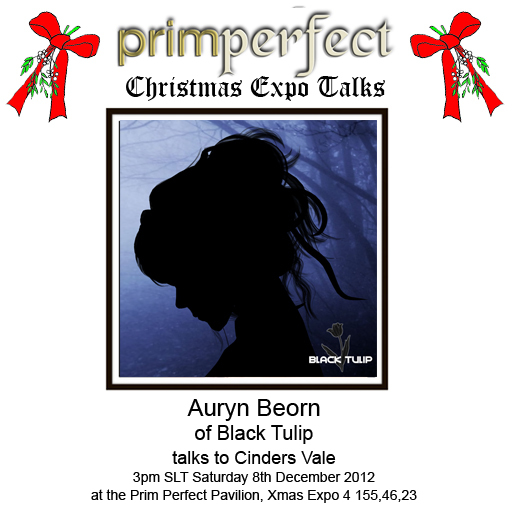 Today we have two talks at the Christmas Expo – both in the gorgeous Prim Perfect Pavilion. At 3pm, Auryn Beorn will be talking about scripting, education, and her beautiful store Black Rose, while at 5pm, Isla Gealach of Cheelky Pea and The nest will be talking about her work in Second Life. Auryn will be talking with Cinders about the kind of products she develops =- and, we hope, will be demonstrating some of her amazing works with scripts. “Many of my products are related to education – the rest gets distributed among tools for builders and furniture,” she says. 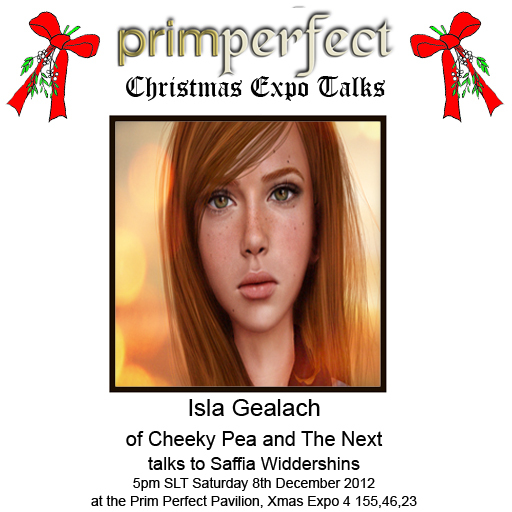 Isla will be talking with Saffia about her own well-know brand, Cheeky Pea, and about The Nest, an entire little town devoted to homes and gardens shopping.